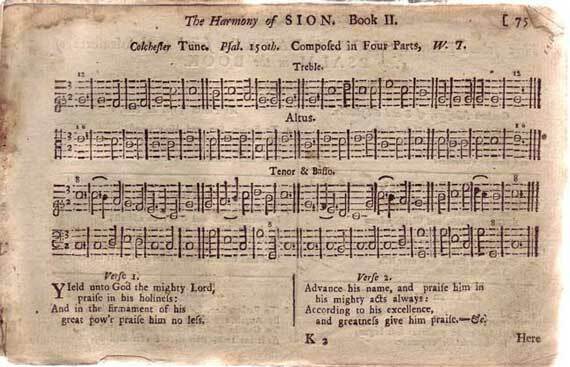 In American hymnals (text only) where tunes are suggested by name COLCHESTER is very popular. In their Christian Psalmist, 1845 Thomas Hastings and William Patton suggest that "Amazing Grace" be sung to COLCHESTER. This image is from Tans'ur's A Complete Melody, 1843. The melody is in the tenor part, second from the bottom.